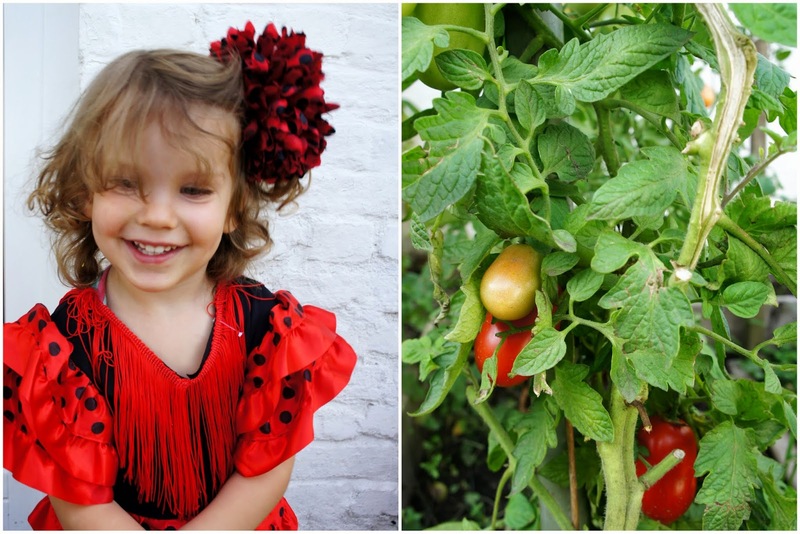 to have a Tapas themed dinner on Saturday night, to share and enjoy together. 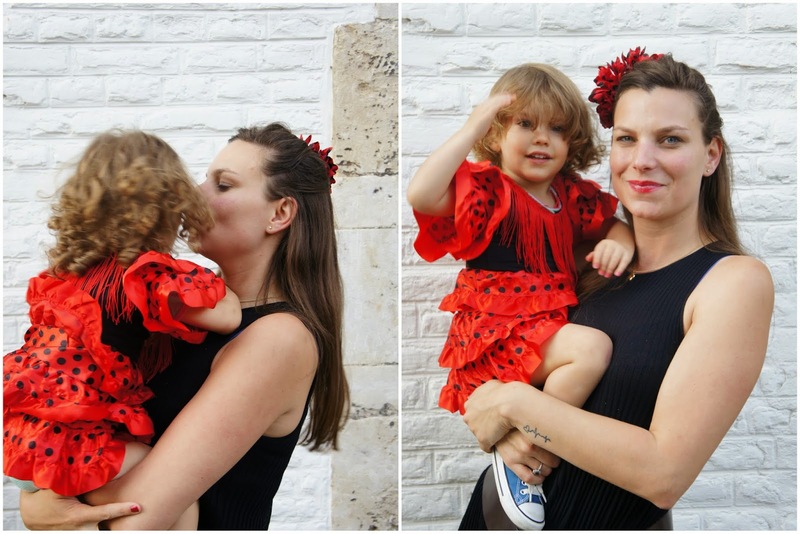 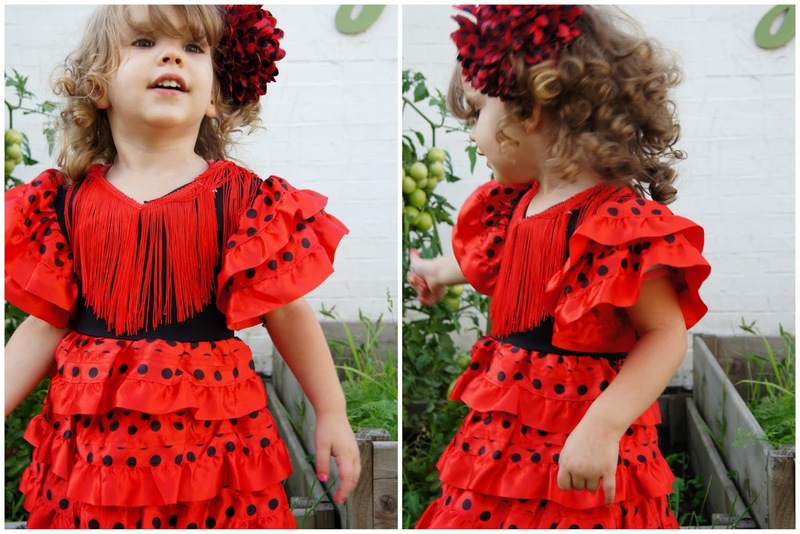 I dressed O. into a little flamenco dancer (dress was a gift from my good friend Annelies and the shoes were a gift from our family in Spain), we picked tomatoes from our garden, prepared our food, had a few beers and we were good to go. 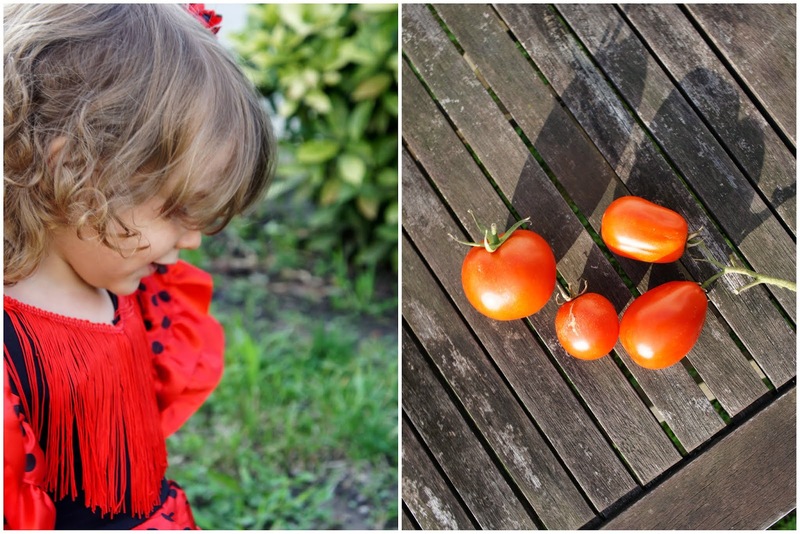 Yummie!